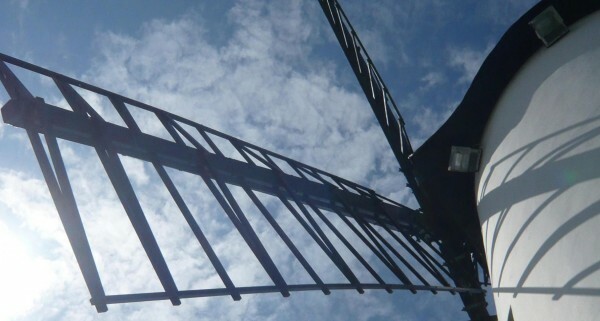 Avant Gardening in partnership with LeftCoast and artist Rebecca Chesney are set to create a giant living artwork in the green space around Little Marton Windmill, Blackpool, this month and you can be part of making it happen. Residents and businesses are invited to roll up their sleeves and get involved with planting the 100,000 crocuses needed to create the ambitious installation over four days from 30 October to 2 November. Everything you’ll need to take part will be provided so this is the perfect chance to let your green fingers get creative. Not only will the planting create a stunning living artwork that can be enjoyed by local residents but it will also brighten the Preston New Road route into Blackpool for visitors. The crocus field will flower in spring 2015 and will create the perfect habitat for wildlife and bees as well as a torrent of colour around the mill. Everything you need to get involved will be provided including planting tools, equipment and refreshments. Planting takes place from Thursday 30 October to Sunday 2 November at Little Marton Windmill between 10am and 3pm daily. To book your time to come along and plant click here to complete our short booking form or call 01253 477973 and speak to Jade. Or feel free to drop by and help with the planting.